PERMAPATCH-N™ is a white, ELASTOMERIC acrylic, trowel or brush grade waterproofing caulk, filler and sealant with nylon fibers. 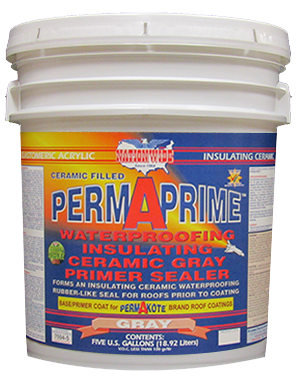 A waterborne, high solids formula with a high concentration of ELASTOMERIC acrylic resin and high-performance, weather resistant pigments. 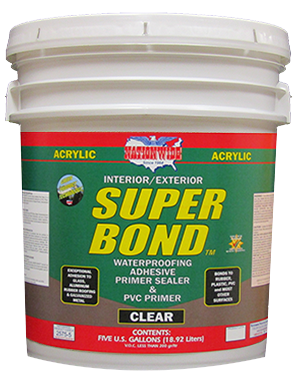 The addition of nylon fibers gives even better crack and sag resistance, as well as improved strength and durability. 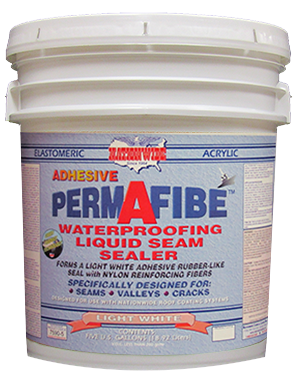 It is specifically designed for waterproofing, sealing and filling: holes, valleys, cracks, vents, low spots, flashings, seams and other probable or vulnerable leaking areas. Elastomeric Rubber Tire Coating Designed for Roof Maintenance Walkways, but can be used for Barn Stalls, Floors & More. Provides a Cushioned Surface.